Tammy grew up in Western Australia where her parents' fondness of animals meant she grew up with a variety of animals over the years. Tammy spent nine years in the animal retail industry where she really picked up her love for animals. In 2015 Tammy moved to Queensland where she then commenced her Certificate IV in Veterinary Nursing. 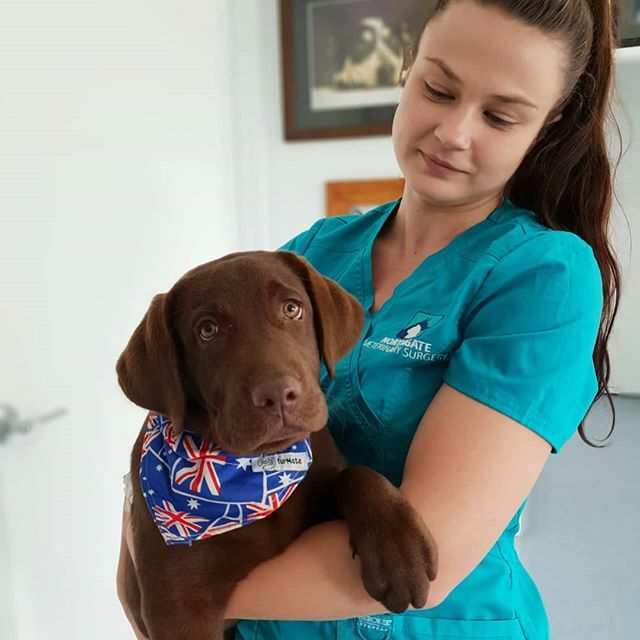 Tammy has worked in a number of large and small animal clinics where she has been able to develop her knowledge and skills. Her exceptional nursing skills and standards as well as her efficiency and eye for detail mean that she will always be across all of your and your pet’s needs. In Tammys spare time she enjoys going for walks with her two dogs, getting some sunshine down at the beach and playing Mortal Combat. Tammy has her own little family of two dogs, Archer and Jackson, and one cat Sampson.